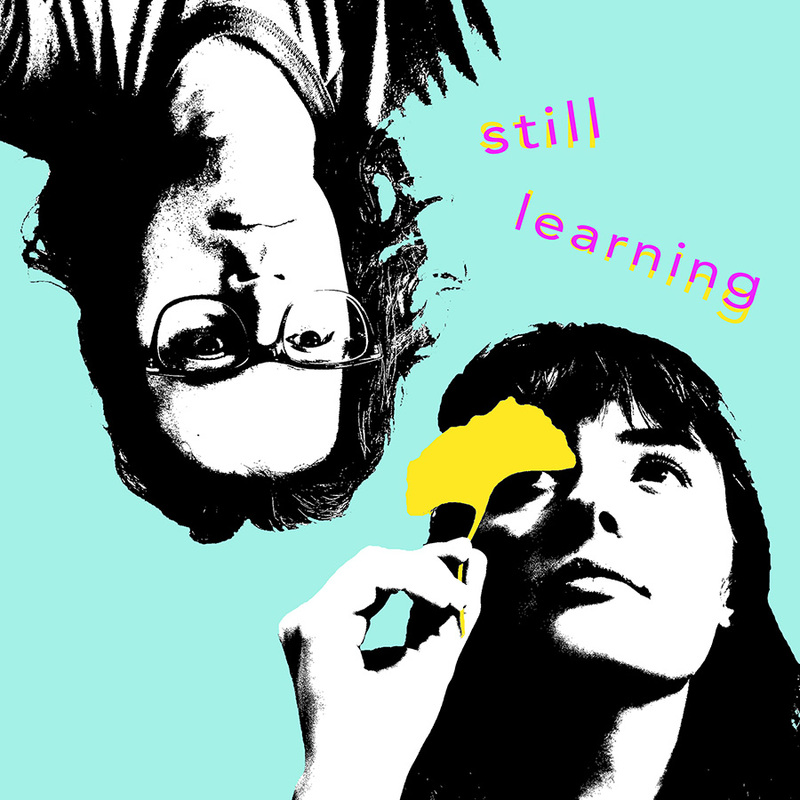 January 25th – Madeline Kenney and Nate Brenner (Naytronix, Tune-Yards) share their collaborative single “Still Learning” today on Stereogum. The track features Kenney on vocals & guitar, Brenner on synth, bass & backup vocals and Derek Barber on guitar. “'Still Learning' is glitchy and calming, with all the fresh reserve of a computer rebooting itself. There’s some of the stop-and-start rhythm that Brenner brings to his work with Tune-Yards, but it reminds me more of Sylvan Esso and some of the loopier tracks on Night Night At The First Landing, the minimal electronics providing ample space for Kenney’s voice to double back on itself. There’s about five different hooks rolled into this one, a gorgeous mutated guitar line holding them all down in place." Kenney on working with Brenner: "This track took about a year to make, not because it was particularly complex or elusive, but rather because Nate and I would do a lot more hanging out, drinking beer, and eating pizza than tracking every time we got together. If this song had a flavor it would be mushroom pizza by the slice. Featuring Derek Barber on what some may call a guitar." "Still Learning" is available now on the Carpark shop and across all streaming services. Listen to it everywhere you go! Kenney also announced North American tour dates last week in support of Soccer Mommy. She will make her overseas debut this May in support of Clap Your Hands Say Yeah. Madeline Kenney is joining Soccer Mommy on tour this Spring. Going to be a good one! Come along for the ride. Dates here & below. Head over to Clash Magazine to watch Dent May's iconic new video for "90210." "90210" is taken from Dent's 2017 release, Across The Multiverse, available now on the Carpark shop & iTunes. + catch him on tour in 2018! Madeline Kenney shares video for "Witching Hour"
Watch the "dream-like split screen skate vid" for Madeline Kenney's "Witching Hour" via Gorilla vs. Bear. You can also catch her on tour this May in the UK! All dates with Clap Your Hands Say Yeah. Melkbelly's "Nothing Valley" is out now! Happy birthday to Melkbelly's new album Nothing Valley !!! And happy first release to our sub label Wax Nine! The record is now available everywhere. Pick up a copy on the Wax Nine shop, iTunes, or Amazon. You can also stream it via Apple Music and Spotify. Evan Gipson joins Carpark, releases "The Music of Morphite"
Today, Carpark Records is proud to release Evan Gipson's, The Music of Morphite, the soundtrack for Marumari's latest video game, Morphite. Morphite is an atmospheric Sci-Fi adventure in a stylized universe. The video game (iOS, Xbox 1, PC Steam, PS4) was written and created by Josh Presseisen (of Marumari fame) and players can journey to distant planets in hopes of discovering new animals and plants, while finding the secrets of Myrah Kale's past. Presseisen enlisted Evan Gipson to compose the soundtrack for the game. Gipson has been composing music for Presseisen's Crescent Moon Games, which include titles such as Mines of Mars, Hammer Bomb, and Sparkwave. This time Gipson brings us a massive and epic soundtrack, filled with desolate tones and energized synthesizers, the perfect fit for space exploration. The soundtrack release for Morphite includes over 50 tracks by Gipson and a special guest appearance by Marumari on remix duties after a long absence from the music scene. Watch two lovers estranged by space and time in Dent May‘s new video for “Across the Multiverse” feat. Frankie Cosmos‘ Greta Kline. Check it out via Pitchfork! Video directed by Robbie Barnett. The track is taken from Dent’s brand new album Across The Multiverse, available now on the Carpark shop or digitally on iTunes. Dent May's new album Across the Multiverse out now! Very happy release day to the wonderful Dent May. Across the Multiverse is now available everywhere. Pick up a physical copy on the Carpark shop or digitally on iTunes. or from your favorite indie record store. album is also streaming via Apple Music and Spotify. Dent’s tour kicks off next week! Across the Multiverse was written and recorded in a sunny bedroom in LA’s Highland Park neighborhood, with Dent producing and playing nearly every instrument himself. The tracks were selected from dozens of songs written after the LA move, a gold rush of productivity inspired by late nights DJing rare disco funk cuts at local watering holes. Melkbelly shares music video for second single "Middle Of"
Listen to Melkbelly's violent, delicate, deafening, infectious (and so on) new single "Middle Of" via Noisey, who describes it as "like stumbling into a room with a biblical plague-level amount of toads, 'Middle Of' is a headfuck." The track is taken from their forthcoming release, Nothing Valley, out October 13th on Sadie Dupuis' (of Speedy Ortiz) imprint Wax Nine. Pre-orders are available now on the shop and iTunes. "Matching the anxiety-inducing vibe of the single is its music video. Thought up by Winters and directed by Matt Engers and A R M. Starring Winters and her bandmate and brother-in-law Liam Winters, the first half of the clip is basically what would happen if the charming 1986 music video were shot by David Lynch at his most abrasive. Watch it above and stay for the lo-fi, stomach-churning camera-work." Madeline Kenney shares third single "Big One"
More new music from Madeline Kenney! Listen to the third single / spellbinding love song, "Big One," via The Fader. Madeline also announced a handful of tour dates this September. Don't miss out! Pre-orders available now on the Company shop, iTunes, and Amazon. Dent May shares the third single from "Across The Multiverse"
"90210" is the swaying, swoon-y third single from Dent May's new album Across The Multiverse. Give it a listen via Gorilla vs. Bear! Album out August 18th. "The move to LA seems to be suiting your Mississippi boy from 39202 quite well on the swaying, swoon-y '90210', as Dent dials down the disco vibes and lets his timeless songwriting shine with a welcome and warm West Coast sheen." Pre-order the album & receive all three singles instantly via the Carpark shop, iTunes, or Amazon. Dent is heading out on a North American tour following the release of the album. Madeline Kenney shares second single "Always"
"Dreamy and distorted, Kenney sings with seething vitriol and bittersweet acceptance as she calls out toxic people who chip away at creative efforts and sour relationships with their controlling ways." Listen to the newest single from the wonderful Madeline Kenney via NPR Music: the result ["Always"] is a blustery song of strength in the face of external skepticism and internal fears. Pre-order the album today from the Company shop or iTunes & receive the first two tracks instantly. Exciting news! Wax Nine's inaugural release is coming October 13th. We are thrilled to announce that Melkbelly shared the first single from their debut album, Nothing Valley. Head over to Stereogum to check out the video for "Kid Kreative." "If Nothing Valley were a real place, it’d be mossy, verdant, and a little bit strange." Pre-orders are available now on Wax Nine shop and iTunes. LPs are pressed on orange vinyl. Madeline Kenney begins her new album with a helpful reminder: “Don’t forget, there’s room for you.” The declaration is meant to lay to rest unnecessary competition. The universe is pretty large. It’s a fitting welcome to Kenney’s debut full-length, Night Night At The First Landing. The record is framed by meditative, repetitive recordings that each offer some kind of encouragement. "Don't you worry about a thing, you're fine." "I won't give up on anything now." The trip on Night Night is deciding whether the narrator is full of confidence or talking to themselves privately. We are beyond excited to share that Madeline Kenney will be releasing her debut LP, Night Night At The First Landing, on September 1st. You can check out the empowering dream-pop anthem, "Rita," along with a music video via Gorilla vs. Bear. Pre-orders available now! You can find physical copies on the Company shop and digitally on iTunes. Order your copy today and receive "Rita" instantly. LPs will be pressed on purple vinyl. "No one's a hero for just being strong," Kenney sings on first single “Rita,” letting us know it’s about action and how that strength is utilized. It takes guts. The song bursts with an exhilarating guitar workout providing a clear-headed version of distorted bliss...The album is unavoidably dreamy, dipping into sweet fuzz while usually sailing through smooth, crystalline production. The songs are about people, and though people sometimes disappoint, this record is meant to comfort. Fall into it and imagine the clouds scooping you up, or the changing tide’s ripples gliding you past a gentle moon’s new reflection. Dent May shared the second single from his upcoming album, “Picture On A Screen,” by way of a lyric video. Head over to Consequence of Sound to check it out. Across The Multiverse will be out August 18th. Pre-orders are available now on the Carpark shop and iTunes. Order today and receive the first two singles instantly. Along with the track, Dent May also announced a run of North American tour dates following the release of the album. We are unbelievably excited to announce the newest release from Dent May, Across The Multiverse, will be coming out August 18th. The first single, the title track featuring Frankie Cosmos, is streaming now via Stereogum. Pre-orders are available everywhere. Pick up a physical copy on the Carpark shop or digitally on iTunes. Order today and receive the title track instantly. Chaz Bundick Meets The Mattson 2's "Star Stuff" out now! Happy, happy release day to Chaz Bundick Meets The Mattson 2! Star Stuff is now available everywhere! Pick up your copy from the Company shop, iTunes or a record store near you. The album is also streaming over at Apple Music and Spotify. Catch the trio on tour in April! Excited for the release of Chaz Bundick Meets The Mattson 2's Star Stuff? You can now stream it a week early via Hype Machine! "The trio channel the improvisatory work of Sun Ra and Miles Davis, stretching warm, analog instrumentals skyward. Used sparingly but to great effect, 'Bundick's voice comes in with a hushed, wide-eyed presence, gently breaking through the mix with clarity," says SPIN. "A euphoric blend of psychedelia and pop.'" Pre-orders available on the Company shop & iTunes. Chaz Bundick Meets The Mattson 2 shares third single "Disco Kid"
The third track from Chaz Bundick Meets The Mattson 2's Star Stuff, "Disco Kid," is streaming now via i-D! + Get to know Chaz (of Toro Y Moi) in an exclusive interview. i-D: What's your greatest ambition? Chaz Bundick: To never have enemies, and to be more communicative and understanding. There's no reason to have issues between people if they can communicate correctly. Loneliness is a real thing and it can drive you crazy and a lot of people are afraid of not having someone. But you've gotta love yourself first. You've gotta wake up in the morning and feel amazing and do your thing, make your coffee, do your yoga, whatever. And just appreciate the day. There's no time to worry about finding a partner or finding some place to work, you know? Just go and strive. The most ambitious thing for me is just trying to stay conscious I guess. Pre-orders are availble on the Company shop and iTunes. Chaz Bundick Meets The Mattson 2 shares second single "JBS"
Chaz Bundick Meets The Mattson 2 just shared another track from Star Stuff! Stream "JBS" via Consequence of Sound + check out an exclusive interview with Chaz and Jonathan Mattson. "Jonathan Mattson, drummer for the twin jazz duo The Mattson 2, had absentmindedly forgotten his drum stool for an Oakland concert in 2014. The Mattson’s friend and photographer Andrew Paynter said he knew a guy who could help out, and it just so happened to be [Chaz] Bundick. When they all met up at a cafe the next day to return the stool, Bundick and the twins clicked, and a musical relationship was born. By the end of February 2016, the trio had recorded their new album, Star Stuff, as Chaz Bundick Meets The Mattson 2. Out March 31st via Bundick’s own Company Records, the effort is today being previewed with a new single, 'JBS'. The nearly seven-minute track is a bluesy piece of psych-jazz, laid back and mellow like that feeling one gets after returning home from a long, joyful trip. When you’re feeling struck with a bit of well-earned exhaustion, 'JBS' is the kind of jam that reassures you it’s okay to embrace the laziness." Star Stuff pre-orders are available now on the Company shop & iTunes.